As Chris Haslam wrote in the Sunday Times Travel section - 'If you consider yourself a traveller rather than a tourist, rev up for an adventure on the roads less travelled.' Bon Voyage have gone the extra mile on this itinerary! 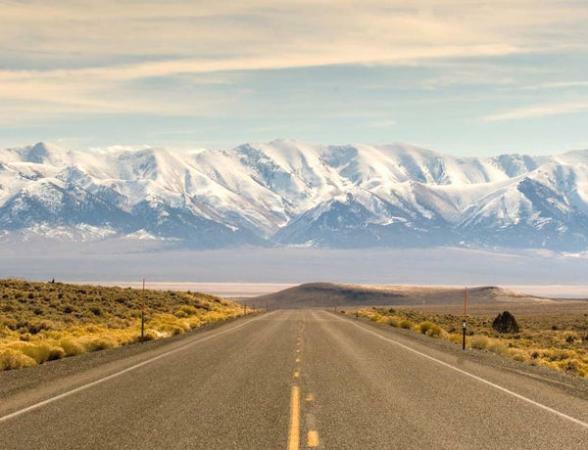 Not only will you discover Nevada's Loneliest Road, but the eerie Extraterrestrial Highway, ghost towns, weird and wonderful experiences and best of all - no crowds. To order your FREE Nevada guide and map click here. 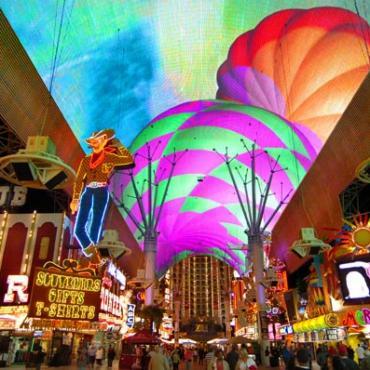 Arrive in Las Vegas early evening just in time to see this city burst into life as the dazzling neon signs on the famous Strip light up the Nevada sky. In keeping with this unusual itinerary, set yourself on a fact-finding mission to the National Atomic Testing Museum. This fascinating exhibit examines some of the stories surrounding the secrets of the Area 51 military base. Remember, X-Files fans.....The Truth is Out There. Be sure to feast on an enormous Vegas breakfast buffet before hitting the road on your Nevada adventure. First stop? A worthwhile mini detour to Valley of the Fire State Park. Discover the flaming, vibrant colours of 150 million year old sand dunes which appear to be on fire as the sun's rays reflect on them. Then it's on the curious town of Alamo and two nights at A Cowboy's Dream - Bed & Breakfast - a lovely retreat in the Pahranagat Wildlife Reserve. It's also one of few accommodation options near eerie Area 51. Top secret Area 51 is one of the most mysterious and captivating places in the United States. What goes on at this heavily guarded air force base is very up for much speculation and the subject conspiracy theories galore. 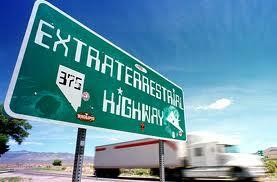 Spend the day cruising notorious Highway 375 - the Extraterrestrial Highway. 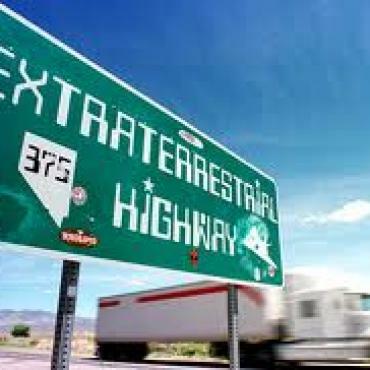 Earthlings are always welcome at the A'Le'Inn Motel and restaurant in teeny Rachel (population 54) where you can sample alien burgers whilst enjoying cool alien murals, Browse the eclectic gift shop and check out the tow truck pulling a UFO in the parking lot. After a very unique day return to the Cowboy's Dream B&B and watch the stars in the Nevada night sky. Leave behind your cowboy haven and venture off to explore two of Mother Nature's finests - Cathedral Gorge State Park and Great Basin National Park. Experience true wilderness and solitude with incredible views along the Wheeler Peak scenic drive. Your overnight stay is in the little town of Ely which sprung up out of the Nevada desert in 1906 as a result of copper mining in the area. 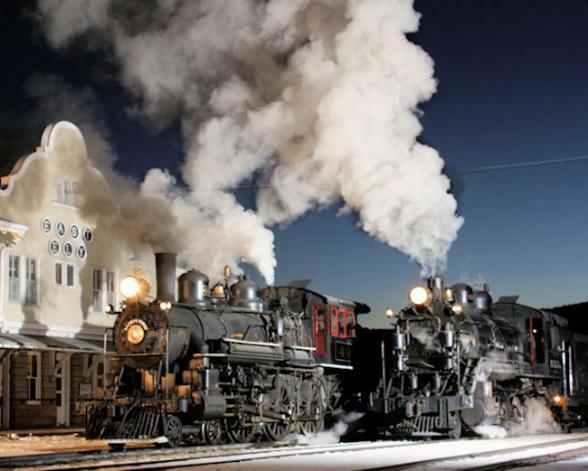 This town is home to the Nevada Northern Railway, so jump on the Haunted Ghost Train or take the throttle of one of the vintage locomotives on the 'Be An Engineer' rail experience. Be sure to visit downtown's colourful murals or the Renaissance Village which depicts what life was like in the town at the turn of the century. For a dining experience slightly out of the norm, head to Ely's Cell Block Steakhouse and enjoy fine dining behind bars in this ex-jailhouse - a meal in the slammer will never have tasted so good! Today it's all about the road. And boy, do you have a road trip waiting for you! Highway 50 runs from Ocean City, Maryland to Sacramento, California. 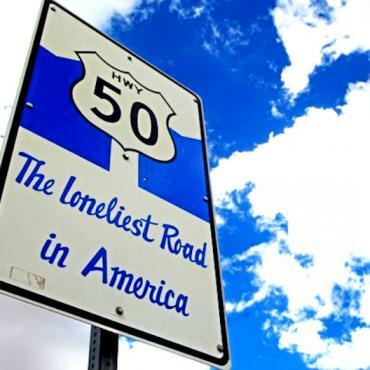 The bit between Ely and Lake Tahoe was named by Life magazine 'the loneliest Road in America.' Believer or not, this is God's country. 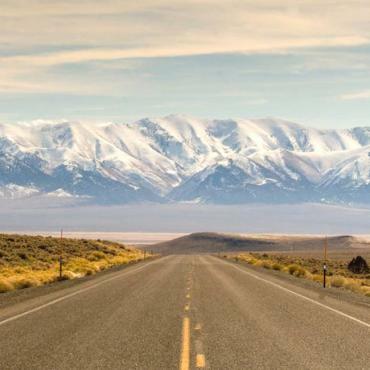 The wide open spaces of Nevada are never more evident. To say you can see for miles and miles is an understatement. This is the perfect time to clear your head and simply enjoy the drive. Break the journey midway along Highway 50 in Austin. According to local legend, a Pony Express rider accidentally discovered silver ore here in 1862, and the rush was on. Over $50 million in gold and silver was shipped out from this area over the next ten years. Arrive in Virginia City for two nights. The largest federally designated Historical District in America is an absolute blast from the past with wooden sidewalks, buildings from the 1860's and saloons with swinging doors. 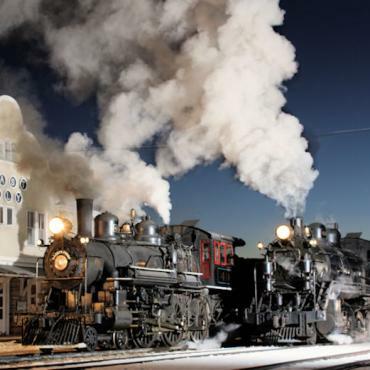 Jump on the historic tram tour here and explore the city or enjoy a ride on the historical V&T Railroad to nearby Carson City, named in honour of the Wild West explorer, Kit Carson, and founded in 1858. 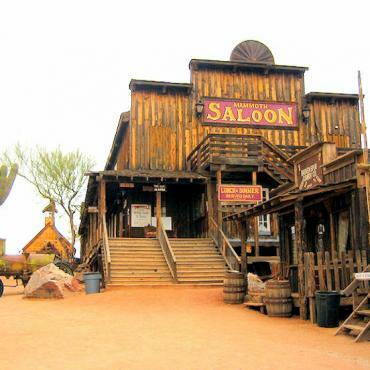 In the evening head to the Bucket of Blood Saloon for fine views down the mountain and good old fashioned Wild West fun. Don't forget your cowboy hat and boots! 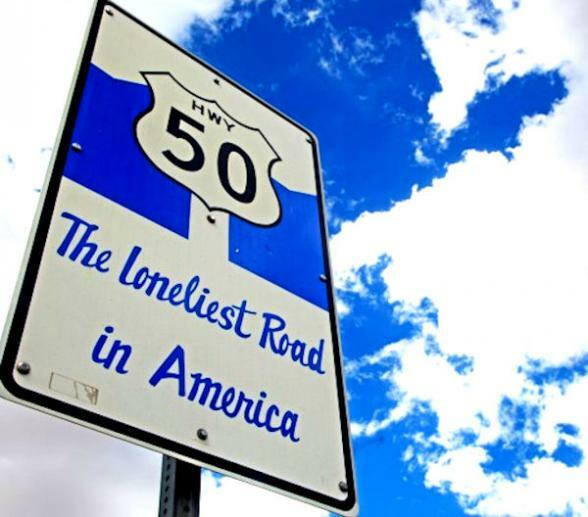 Exclusive to Bon Voyage, The Official Nevada Highway 50 Survival Guide - click here to secure yours. On your way to Lake Tahoe, don't miss the picturesque town of Genoa, founded my Mormon farmers in 1851, this delightful place is full of quaint antique shops, cosy cafes and Victorian homes. Linger a while at Nevada's oldest watering hole, the Genoa Bar & Saloon. Over the years this 'thirst parlour' has been frequented by the likes of Mark Twain, Presidents Ulysses S. Grant, Theodore Roosevelt, Clark Gable and John Wayne. 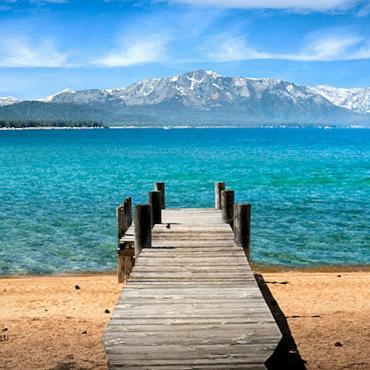 Lake Tahoe is extraordinary. It's so deep you could stand the Empire State Building in it and still not see the top. 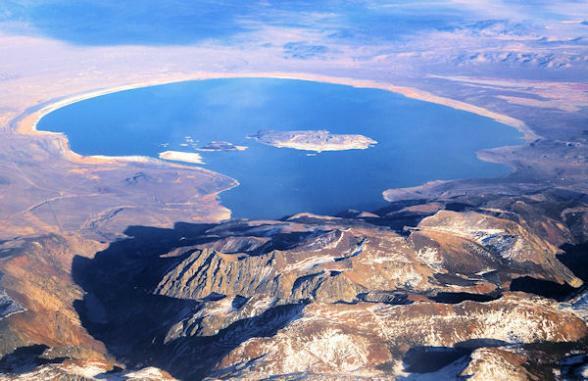 It's the highest lake of its size in the USA at an elevation of 6,225 feet and one of the purest lakes in the world. Big Blue, as it's fondly referred to, has something for everyone from quiet beaches to mini-Las Vegas style strips; cosy cabins to swanky hotels; exciting outdoor pursuits to relaxing spas. All set amongst the dramatic backdrop of snow capped mountains and cobalt-blue waters. 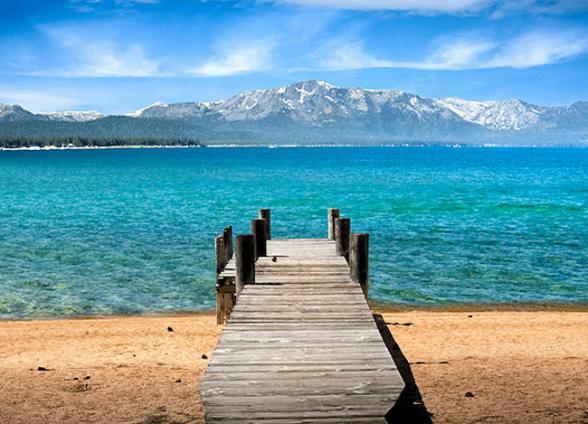 Leave behind Big Blue and cruise along in the shadow of Yosemite National Park to another one of America's remarkable lakes - Mono Lake. Formed around 760,000 years ago and one of the oldest lakes in the western hemisphere, Mono Lake is hauntingly beautiful and reflects the surrounding snow-capped mountains in its crystal clear waters.. Your overnight stop is Tonopah, classed by USA Today as the number one stargazing destination in America. Head out in the evening to the Crescent Sand Dunes for spectacular viewing opportunities. Or stay in town and enjoy Beers & Barbeque at the Tonopah Brewing Company. 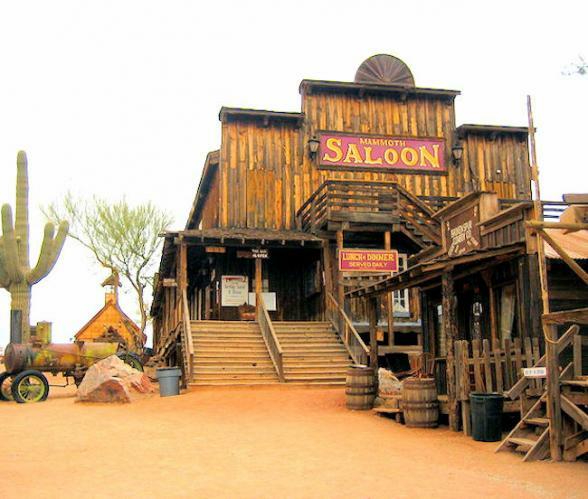 The Ghost Town of Goldfield should be your first port of call today. Stroll around this dusty town and peak inside the haunted Goldfield Hotel before you grab a cold drink in the Santa Fe Saloon. South of town, you'll find the International Car Forest of the Last Church, a sprawling collection of trucks, cars and buses painted by local artists. 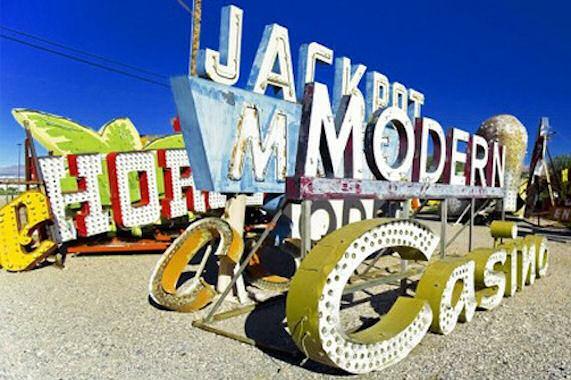 Before heading into Death Valley National Park for your overnight stay, stop at the Goldwell Open Air Museum, an outdoor sculpture park crammed with the most unusual art displays. The nearby Ghost Town of Rhyolite is worth a stop to visit Tom Kelly's Bottle House, built out of 30,000 glass bottles in 1905. Arrive in Death Valley in time to watch the sun go down at Zabraski's Point. This view has been featured in many pop culture references, with the most notable being the Joshua Tree album cover for the band U2. Death Valley - it's been described as harsh, hot and hellish, but, it's also full of striking sand dunes, water-sculpted canyons, extinct volcanic craters and tons of endemic wildlife. Before leaving the park head to Badwater Basin, the lowest point in the western hemisphere at -282 feet, with a jawdropping landscape of endless salt flats. On your return journey to Las Vegas consider stopping in Puhrump to sample the wine grown in this area of the Mojave desert. It may seem a strange place for vineyards, but the Zinfandel and Syrah have won many an award! 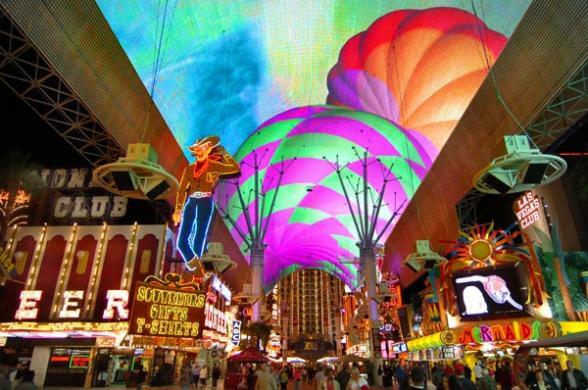 Arrive back into Las Vegas and experience the historic downtown area of Freemont Street, a five block entertainment district in the historic Downtown area. 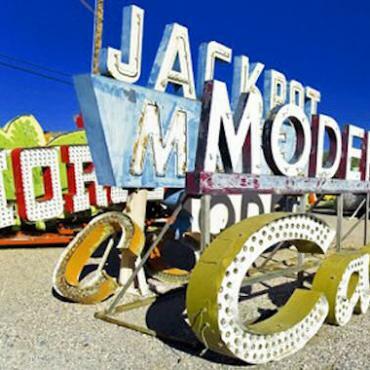 This area is a great base for the Neon Museum and Boneyard - a glimpse back at the iconic Vegas neon signs of yesteryear. Pop into the Mob Museum and learn how Lefty, Lucky, Bugsy, Snake, Scarface and the Brain ruled Sin City until late into the 20th century. 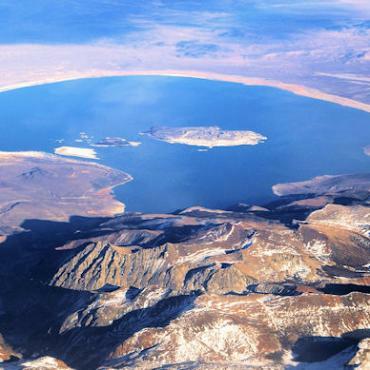 If that's not enough to keep you occupied, then jump in the car and visit nearby Hoover Dam and Lake Mead, or chill-out at Mount Charleston where temperatures are normally a good 40 degrees cooler. The 30 foot high Seven Magic Mountains art exhibition in the Ivanpah Valley, just 15 miles from Las Vegas, is worth a stroll around if you're into modern art, or just like the weird and wonderful. 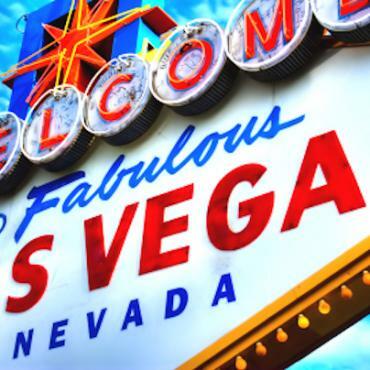 Time for some last minute bargain hunting in Las Vegas North Premium Outlets or a final stroll along the Strip before your flight back to the UK. 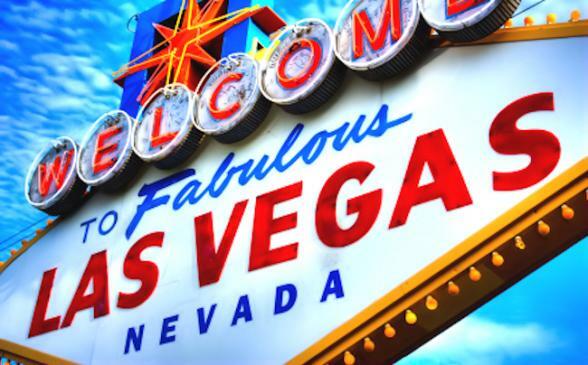 Want to extend your time in Las Vegas? Maybe visit the Grand Canyon? Or Yosemite National Park and the California Coast? All Bon Voyage holidays are tailor made, call the USA experts to discuss your ideal trip. Order your FREE map and guide of Nevada here and we'll also keep you updated on travel events and news for the region.